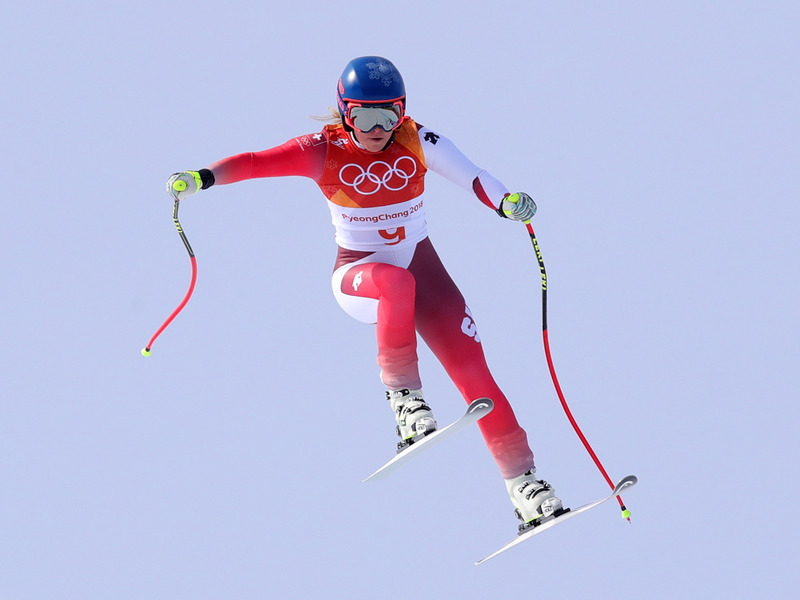 Downhill skiing is outright insane. 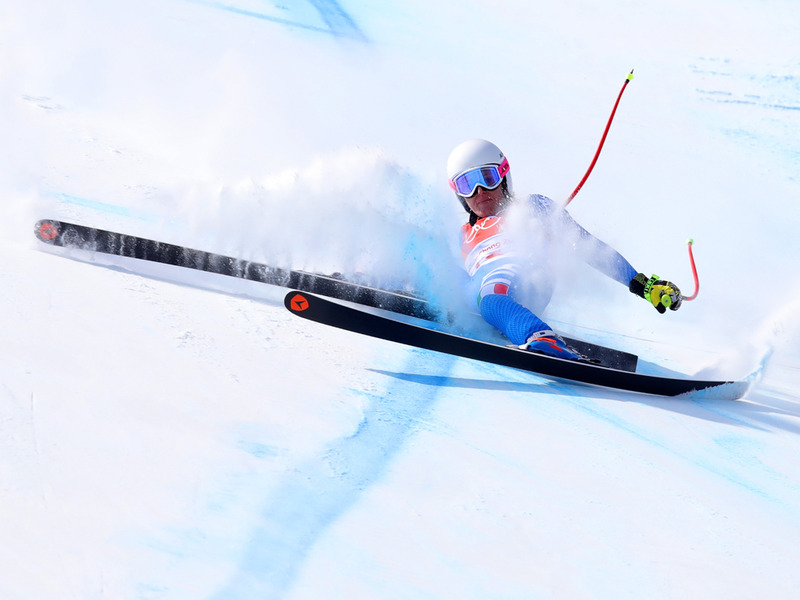 On Tuesday, the best and bravest athletes from around the world came together to compete in the Ladies’ Downhill Skiing event at the 2018 Winter Olympics in Pyeongchang. The fastest sport on the mountain, downhill skiers fly between through gates at speeds reaching 80 miles per hour, attempting to find the bravest line down to the bottom to make it onto the podium. 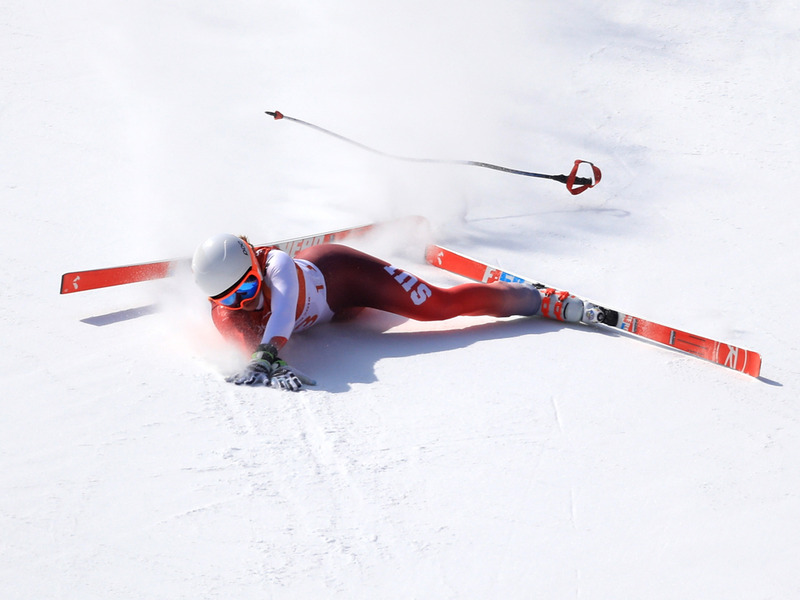 Of 39 entrants that left the starting gate on Tuesday, almost 20% of the them didn’t make it to the end of their runs, whether due to crashes, missed gates, or any other number of problems that can arise when you’re flying down a sheet of ice at speeds foreign to the average human experience. Below are just a few of the photos that show just how insane downhill skiing is in action. Michelle Gisin of Switzerland had the four stages of her fall during the downhill competition captured in sequence, starting with when she first lost control. 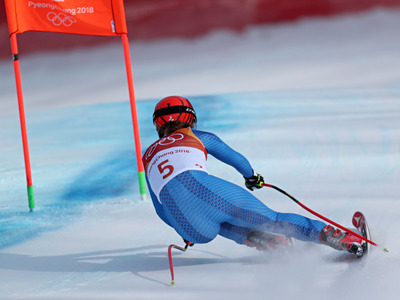 From there comes contact with the ground, and the long slide to a stop — thankfully, her spill happened at the very end of her run, sending her through the finish line. Once still, she took a moment to get her bearings. 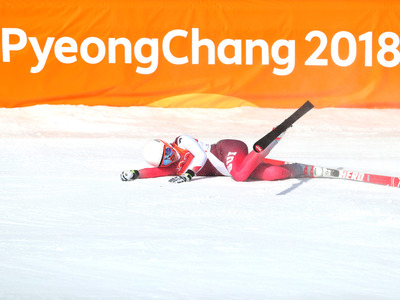 Before finally slowly making her way back upright. Even with her fall, Gisin finished just a second off of podium pace. 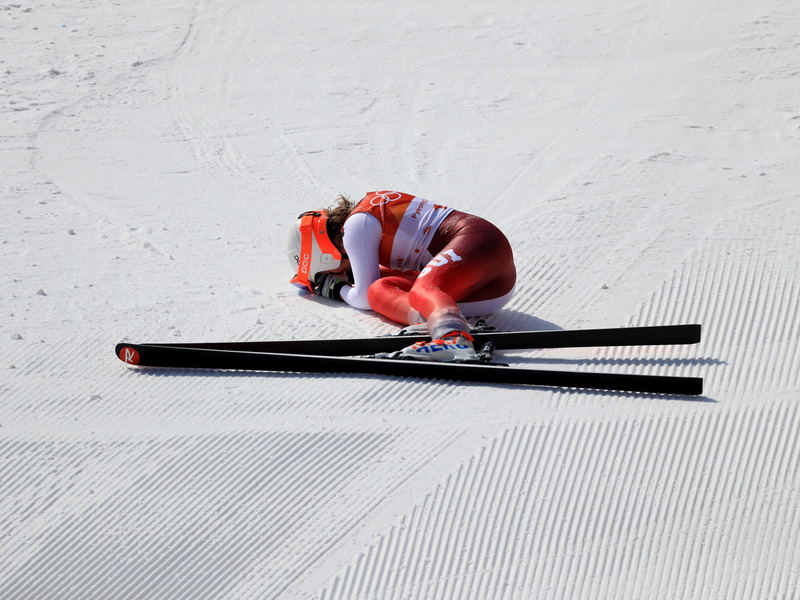 Nadia Fanchini of Italy also lost control during her run. Her slide down the mountain was a long one. 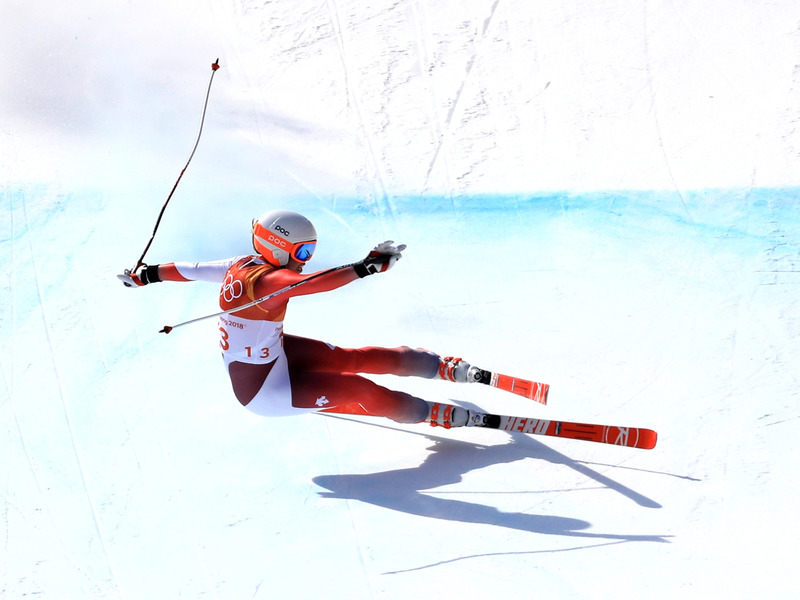 Downhill skiing still looks insane ever for the athletes who can stay upright through their whole run. 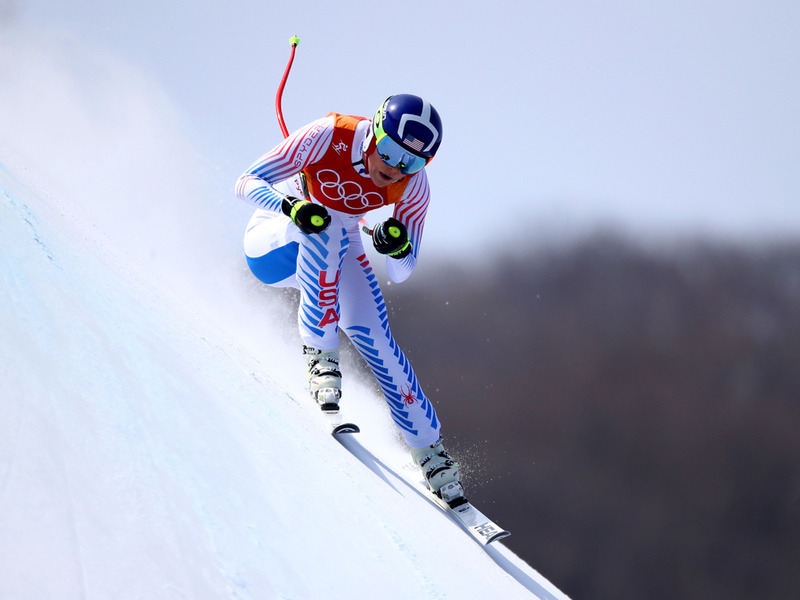 Lindsey Vonn, who took bronze in the event, gives onlookers a shot at just how steep these mountains are. Lara Gut of Switzerland caught so much air at one point that the mountain disappeared below her. And as Jasmine Flury of Switzerland learned, coming down can be much tougher than going up. 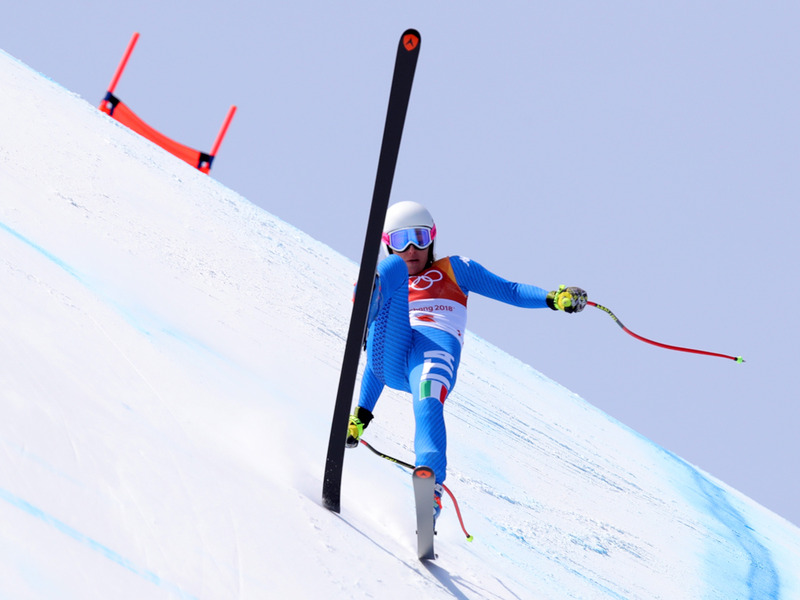 Gold medalist Sofia Goggia of Italy shows just how low you have to get to the ground to change direction and keep your footing at such high speeds. 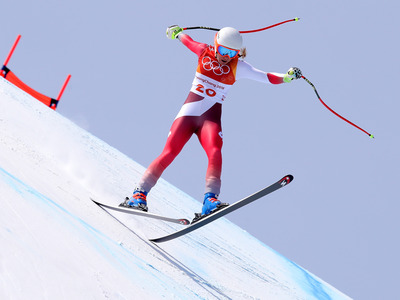 And reminds skiers everywhere to thank the mountain once you’ve made it through the finish line safely. 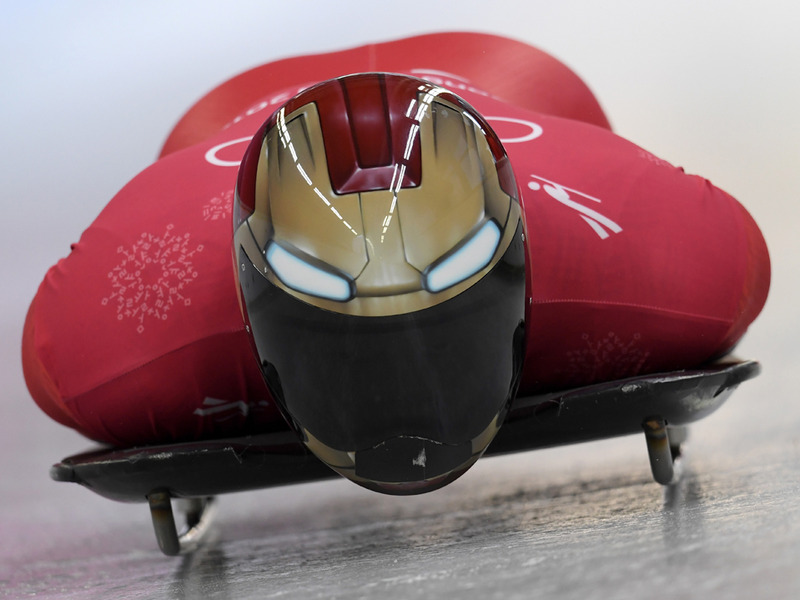 Now check the wild photos from one of the other most terrifying events of the Winter Olympics — skeleton.